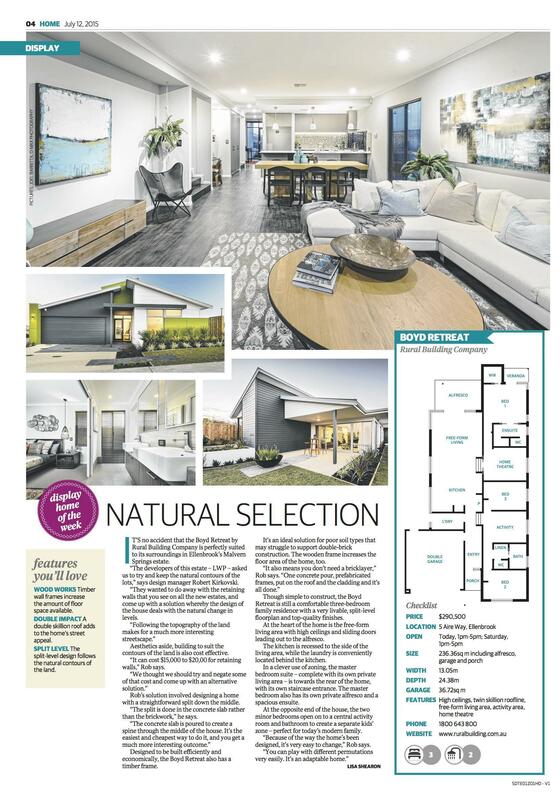 Introducing The Boyd, a stunning home designed to suit today’s modern lifestyle, uncomplicated and refined in layout and presentation. The Boyd is similarly a demonstration on alternate construction and its benefits. The design takes advantage of the sloping block with a split level floorplan. The split level design adds to the home’s interior appeal, enhancing the homes various living spaces. To find out more on the Boyd Retreat click here.